THE DUBAI-GOVERNMENT OWNED Dragon Oil has flagged plans to buy out Ireland-based exploration company Petroceltic for €627 million in cash. Dragon Oil, which is based in Dubai but registered in Ireland, this morning confirmed it was in “detailed discussions” about making an approach to take over the public-listed Petroceltic at a price of 230p (€2.93) per share. The offer would value the junior, Dublin-based oil and gas exploration company at about €627 million, up more than 50% on its listing price only three months ago. 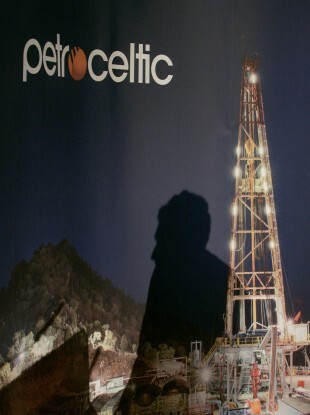 In a statement, Petroceltic said it had received ”proposed offer terms” and Dragon Oil was in talks with its majority shareholder about getting a firm pledge to back the takeover. The Dubai government’s Emirates National Oil Company (ENOC) owns a 54% stake in Dragon Oil. Petroceltic said its board was willing to back a firm offer at the suggested price if ENOC gave the plan the tick of approval, assuming its own shareholders were happy with the proposal. Dragon Oil said it was yet to make any formal offer and there was no guarantee the plan would ever be put on the table. Analysts broadly welcomed the move, with BMO Capital Markets’ David Round adding it looked like a good deal for Petroceltic and both sides appeared to want to “get this done”. What are they both sitting on? Dragon Oil’s main asset is the Cheleken Contract Area in the Caspian Sea near Turkmenistan, although the company is also in the process of exploring sites in Tunisia, Iraq, Afghanistan, Egypt and in waters near the Philippines. In June it was churning out an average 76,100 barrels of oil per day and its revenues for the first half of the year hit $547 million (€437 million) with more than half (€230 million) of that figure returned as profit. Petroceltic turned over $96.3 million (€76.8 million) over the same six-month period for a loss of $57.4 million (€45.7 millon) after it was forced to write off the exploration costs for unsuccessful wells in Kurdistan, Romania and Egypt. It has a 38% share in an Algerian gas field where the company expects to start drilling early next year, but the bulk of its current production comes from a gas field in Egypt. Last month the company announced it was part of a joint venture that had won the exploration license for another site in Egypt. In August Petroceltic was forced to evacuate its non-essential staff from Kurdistan in Iraq as the region became a flashpoint for fighting involving Islamic militants. Email “Dubai state-owned oil company plans €627m buyout of Irish exploration firm”. Feedback on “Dubai state-owned oil company plans €627m buyout of Irish exploration firm”.